OBJ and MAX files + textures. This model is a segment and can be scaled to any size without loss of resolution. 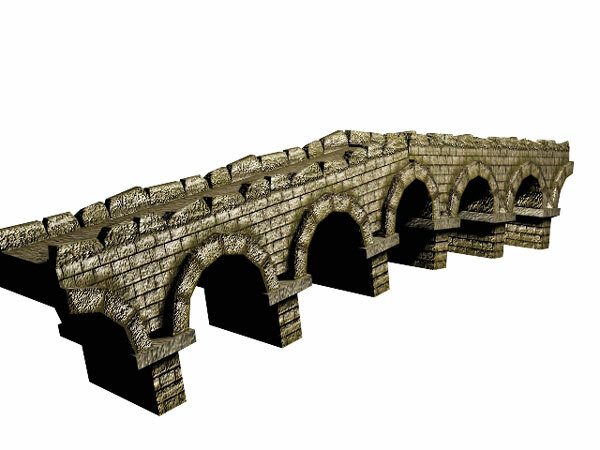 Medieval Stone bridges - medieval stone arch bridges, which featured three separate ribs of stone under the arches. The history of the Stone Bridges, masterwork of medieval construction from - to the present. ... It is the oldest surviving medieval arched stone bridge in England. 3ds arch, architecture, art, block, bridge, building, clipart, collection, concrete, connection, construction, craft, design, element, icons, illustration, landmark, line, link, metropolis, monument, outline, path, pillar, rising, road, scalable, set, stone, travel,.